AICC meeting is scheduled on Jan 17, while the BJP National Executive and National Council is from Jan 17 to 19. Even though neither the BJP nor the Congress accept that they have been impacted by AAP, the actions of the major parties tell otherwise. The Aam Aadmi Party factor is expected to be the focus of Congress and BJP during conclaves of their top leaders here this week to prepare a strategy for Lok Sabha elections. Even though neither the BJP nor the Congress accept that they have been impacted by AAP, the actions of the major parties tell otherwise. Just two days back, Rahul Gandhi held a meeting of leaders entrusted with the process of selection of candidates. At the meeting, the Congress Vice President pitched for giving Lok Sabha tickets to ordinary workers and those having a clean image as he unveiled a “new process” that will see early declaration of Congress nominees. Apparently taking a leaf from the success of AAP, Rahul told the leaders that while deciding candidates views of local people should be given prime importance and ordinary party workers should be given their due in the selection. The exercise initiated by Rahul comes in the backdrop of the AAP as well as the BJP speeding up the process of selection of candidates for the polls and setting this month as a deadline. BJP leaders say in private that AAP can affect them in urban areas as the Kejriwal effect is visible in cities but insist that it could be a blessing in disguise as it would help the party rank and file to connect more to the people. “We do not go by press headlines. We have the pulse of the people. We will not take undue cognisance”, BJP spokesman Prakash Javadekar said, dismissing the contention that AAP’s rise would dominate the party meet. Striking a similar note, Information and Broadcasting Minister Manish Tewari said, “Focus will be on Congress” at the AICC meet. Another Congress leader Mani Shankar Aiyar said the focus will be on what the party can do to win the elections by defeating both the BJP and AAP and the regional parties. Contending that the rise of AAP is a reason to worry for BJP and not Congress, Aiyar said it is a “mathematical fact” that if 0.1 per cent of the national vote goes to AAP, it will lead to BJP losing one seat, which it might otherwise have got. “Similarly, one per cent of the national vote to AAP could lead to BJP losing 10 seats. 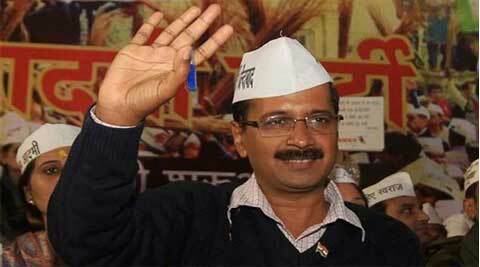 Naturally, BJP in its conclave will have to focus more on AAP,” he said. However, BJP has made it clear that it is not unduly worried over the AAP rise. Javadekar said, “We have a clear winner. We have the programme and the confidence besides a well planned campaign”. The BJP spokesman suggested that the AAP was the ‘B’ team of Congress as it has come to power in Delhi in alliance with Congress and was, therefore, a “comeback of the Congress through the backdoor”. Congress General Secretary Shakeel Ahmed, however, dismissed the BJP claim. “BJP is a frustrated party as all their sweet dreams of coming to power got dashed because of Cong support to AAP”. Taking a dig at the way the Kejriwal government is being run, Ahmed, who is in charge of Congress affairs in Delhi, said it reminded him of the “early days of Lalu raj”. Ahmed, who hails from Bihar, was obviously referring to the Lalu Prasad rule in Bihar some two decades back. Lalu had at that time declared that he will run the government from the residence of his brother who was a peon. Later he moved to a spacious bungalow. While Lalu had taken oath as Chief Minister at the statue of Jaya Prakash Narayan in Patna, the Delhi Chief Minister did so at Ramlila ground. Lalu had also declared when he became chief minister that fighting corruption was his high priority and had even appointed “surprise monitors” to keep a tab. “Kejriwal has taken the sting operation route and has installed anti-corruption helpline,” Ahmed, a former Union Minister, said.